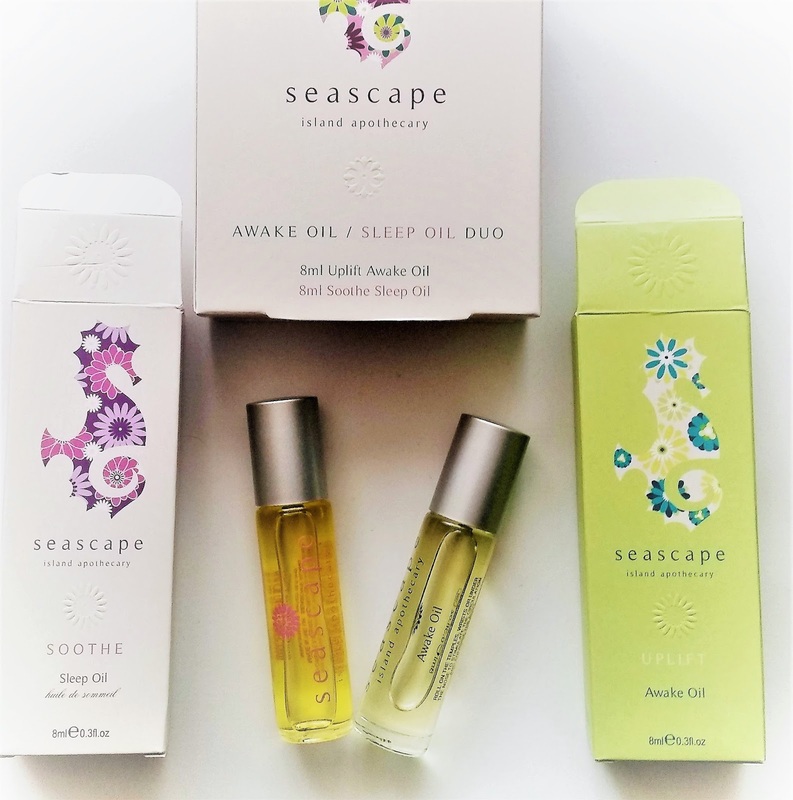 Home / Verbal / Seascape Island Apothecary Awake Oil / Sleep Oil Duo Gift Set. 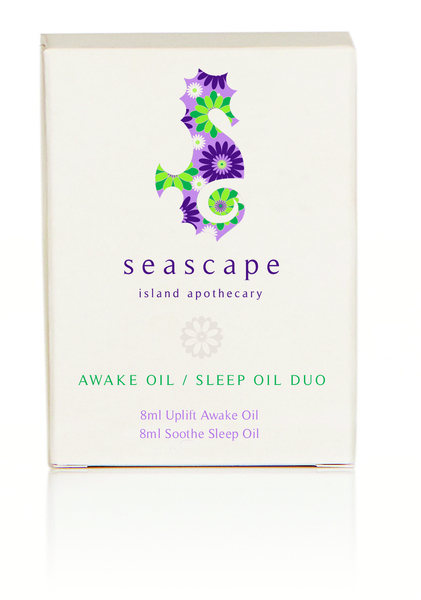 Seascape Island Apothecary Awake Oil / Sleep Oil Duo Gift Set. 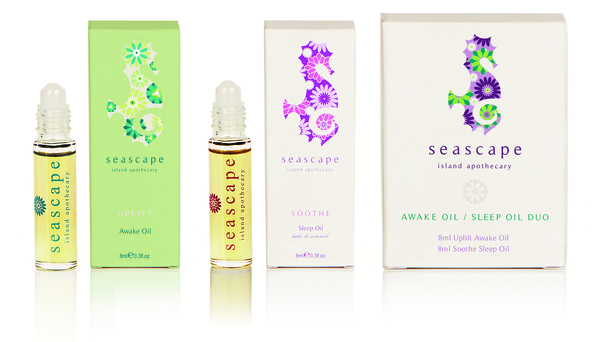 The Seascape Island Apothecary Awake Oil / Sleep Oil Duo Gift Set combines two award - winning products into one winning combination. Established as a best seller, the Soothe Sleep Oil is a true “lullaby in a bottle”. It contains 100% natural essential oil of Lavender to relax and calm, as well as the oils from Grape Seed, Sweet Almond, Bitter Orange Flower and Mandarin Orange Peel to balance the mind and deliver a gentle fragrance. 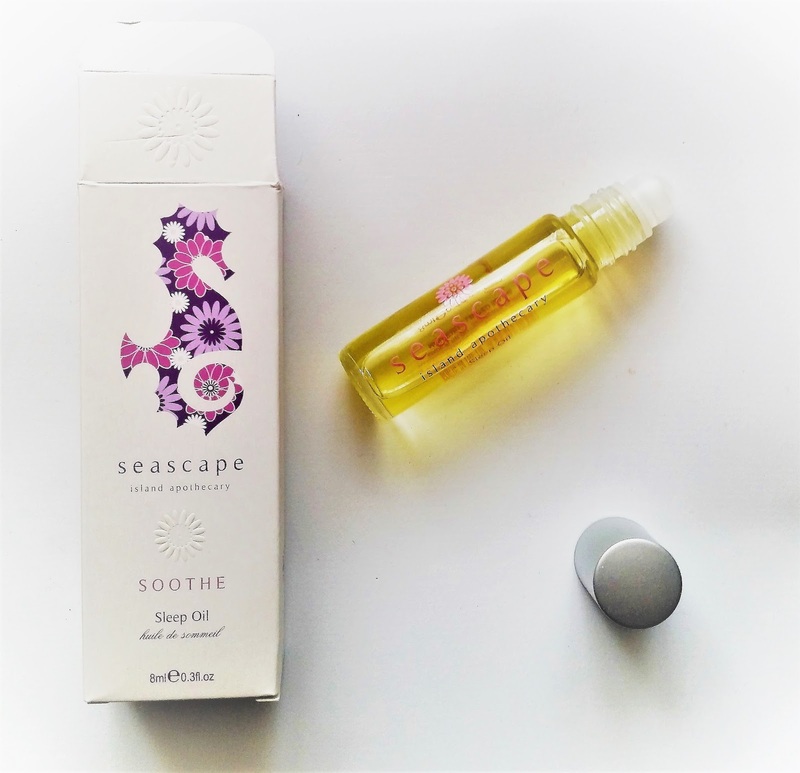 The Seascape Soothe range is fragranced with pregnancy – safe essential oils. An "alarm clock in a bottle", the Uplift Awake Oil contains 100% natural oils of Jersey Eucalyptus, Lime and Lavender to stimulate the circulation, energise the body and refresh the senses. Grape Seed and Sweet Almond Oils complete the blend. Named by Pure Beauty as one of the best new natural products for 2016. Seascape products are as natural as you will find in the marketplace and are FREE FROM parabens, silicones, SLS, petroleum, micro beads, artificial colours and artificial fragrances. Applying the Awake Oil / Sleep Oil to the pulse points on your body, body heat generated by pulse points helps intensify fragrance, and can often diffuse, magnify and amplify a scent. Most people are familiar with the pulse point on the inside of the wrist, the pulse points on your body (where your heart rate can be felt) are the best spots to apply a scent, due to the warmth of your blood. Some such points are located behind your ear, at the bottom of your throat, on your wrist, inside your elbow, and behind your knee. Incorporating aromatherapy into your routine encourages mindfulness, whilst taking time out for yourself to balance your mood to restore, revive and relax. Awake Oil: A beautiful natural oil that resides in an 8ml bottle, your senses will be wide awake thanks to the uplifting, bold freshness, this possesses. Apply a small amount to the temples, wrists or under the nose to invigorate and stimulate using the roller ball for easy application. Awake Oil: Vitis Vinifera (Grape) Seed Oil, Prunus Amygdalus Dulcis (Sweet Almond) Oil, Lavandula Angustifolia (Lavender) Oil, Pelargonium Graveolens Flower Oil, Citrus Aurantifolia (Lime) Oil, Linalool, Citronellol, Limonene, Eucalyptus Globulus Leaf Oil, Geraniol, Citral, Tocopherol. Sleep Oil: A soothing natural oil placed in an 8ml bottle, to help you relax and unwind anytime of the day or night. Apply a small amount to the temples, pulse points or under the nose to aid in sleep or help induce relaxation using the roller ball for easy application. Sleep Oil: Vitis Vinifera (Grape) Seed Oil, Prunus Amygdalus Dulcis (Sweet Almond) Oil, Citrus Arantium Amara (Bitter Orange) Flower Oil, Lavandula Angustifolia (lavender) Oil, Citrus Nobilis (Mandarin Orange) Peel Oil, Limonene, Linalool, Canaga Odorata Flower Oil, Geraniol, Citronellol, Hydroxycitronellal, Tocopherol, Benzyl Benzoate, Citral, Benzyl Salicylate, Farnesol. Avoid contact with the eyes. If contact occurs immediately rinse with plenty of clean water. In the unlikely event of a rash or irritation, discontinue use. Young children should be supervised. Use only as directed. Keep away from sunlight and heat. You only need a little of the oils, to be placed on your pulse points, to feel the effects on your senses. 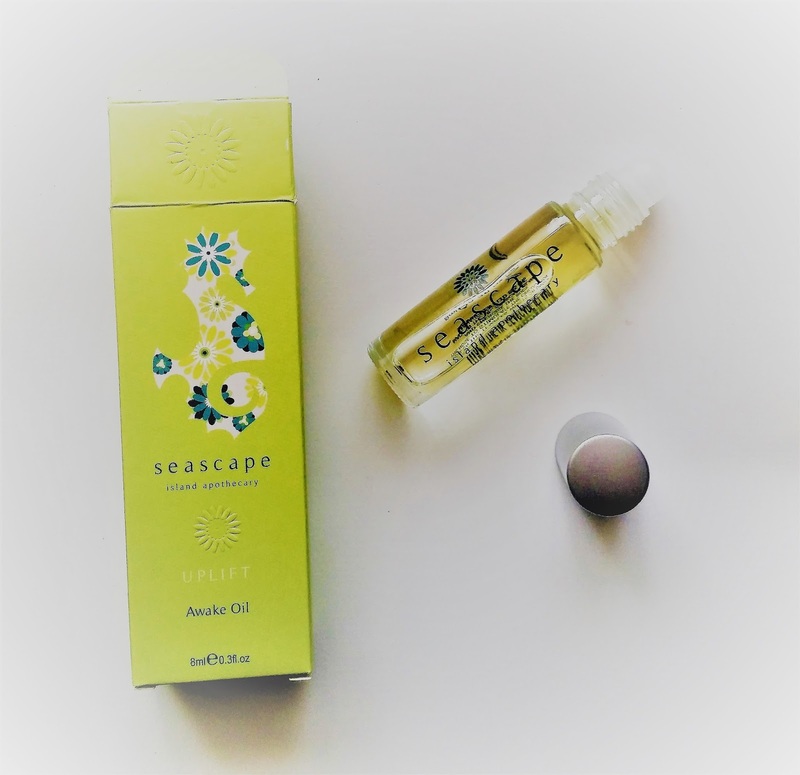 The Seascape Island Apothecary Awake Oil / Sleep Oil Duo Gift Set is bag friendly, great to use throughout the day, and feels luxurious to use. Seascape Island Apothecary is a new, British, 100% natural essential oil - based collection of bath & body ranges for the whole family. Featuring ingredients from the beautiful island of Jersey, Seascape's unique packaging, natural fragrance blends and outstanding product performance have already earned several awards and industry recognition. Discover the Seascape range today at ManOrganic.